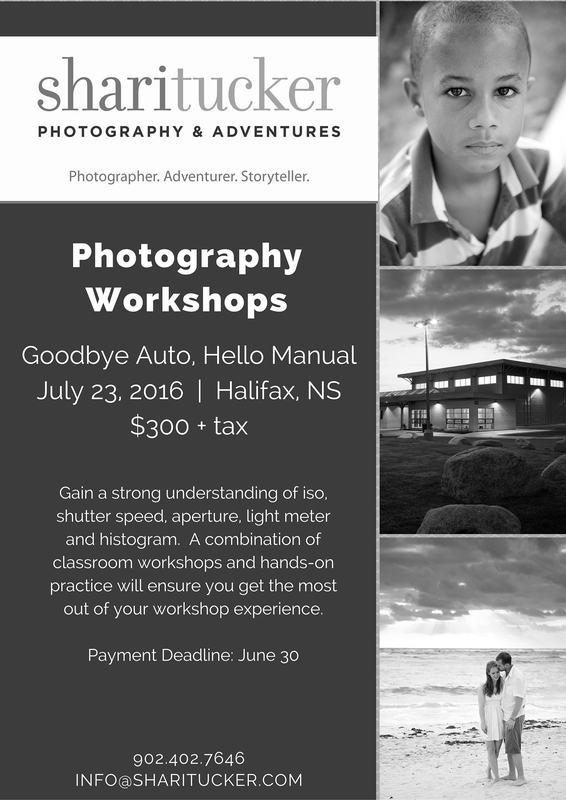 Goodbye Auto, Hello Manual Photo Workshop presented by Shari Tucker Photography & Adventures. Goodbye Auto, Hello Manual will be offered on July 23. Approximate times: 9:30am – 5:30pm. This course can only be taken with a digital SLR camera. Great for beginner’s or those who have been practicing photography for a long time but want to learn to do use their camera on manual.